Enrique Chavarria was born June 29, 1927 died October 19, 1998. He studied art at the Academia de San Carlos, Art School of the National University, Mexico City, Mexico. 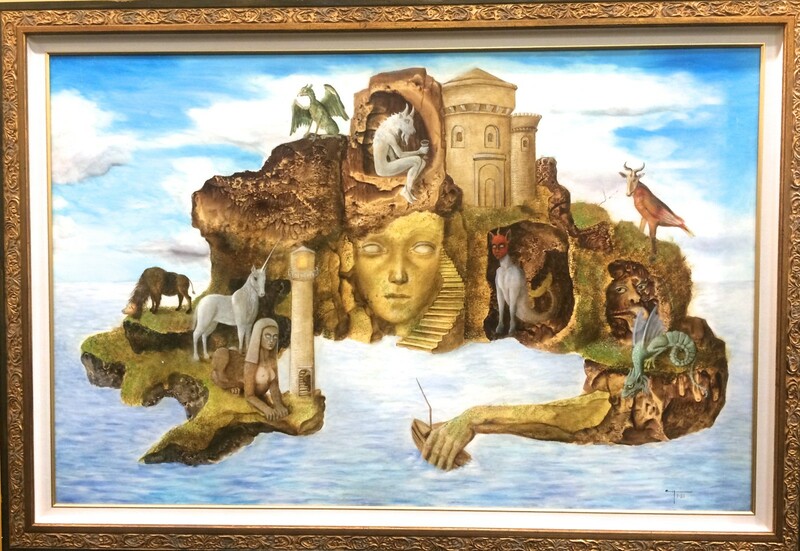 Chavarria was Mexican painter and neo-surrealist, whose fantastic imagery carries forward the work of the Mexican Surrealists. He began painting seriously in the 1960’s, he new the work of Kahlo, Carrington and Varo, as well as their European counterparts, as there had been several major surrealist exhibits in Mexico City since the early 1940’s. Chavarria has also created a body of work that goes beyond psychoanalytic references, beyond the personal or autobiographical. His paintings include all of these, but are also rich, snapshot-like images that allow us a deep glance into universes beyond the surface of our own, complete with their own cosmologies and laws of science. In this sense, they reflect Chavarrias deep interest in the work of Hieronymus Bosch. Works by Chavarria are in many privet collection as well paintings ware exhibited at the Florida International Museum, Mexico City, Palm Beach FL.